Mozart Gold is a milk chocolate cream liqueur. Belgian chocolate and fresh cream are blended with aromatic notes of vanilla and cocoa. The raw materials for Mozart Gold are well traveled. The used cocoa is a mixture of the types Forastero (West Africa) and Trinitario (Caribbean). 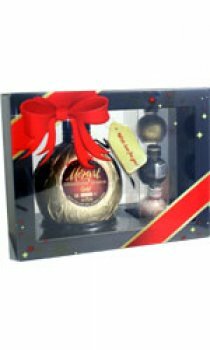 Mozart Gold contains fresh cream, conched dark chocolate from Belgium, genuine Bourbon-vanilla from Madagascar, crystal sugar, and pure sugar cane distillate.